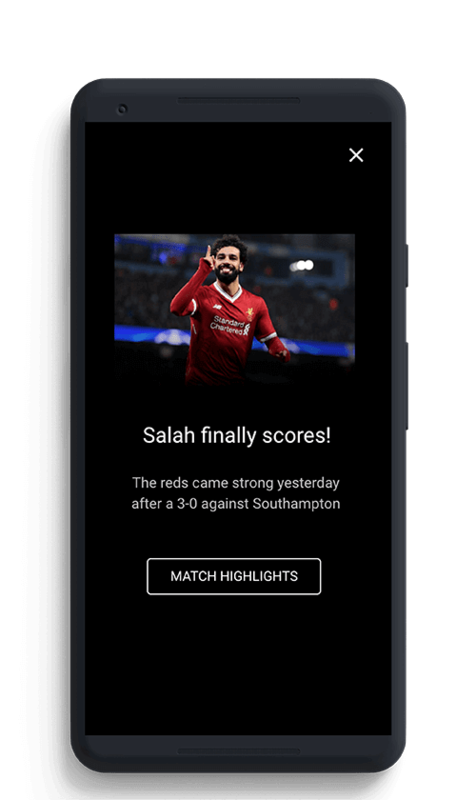 In-app messages are used to broadcast something important right in the app for your active users. We give you the canvas, you make the design. Easily tweak the design of in-app messages to align with your brand and give your users a native experience of the app. Choose between dark, or light themes. Or if you are feeling artsy, you can choose your own colors. Yes, it's that simple. Get started in 5 min with our lightweight SDK. A comprehensive mobile engagement platform to capture and improve customer journey and engagement over iOS, Android & websites. For mobile apps, and websites. Have a consistent message across websites and mobile apps. We are your command center. Get 50% off your bill! Buy all stationary you need with 50% off until Thursday.